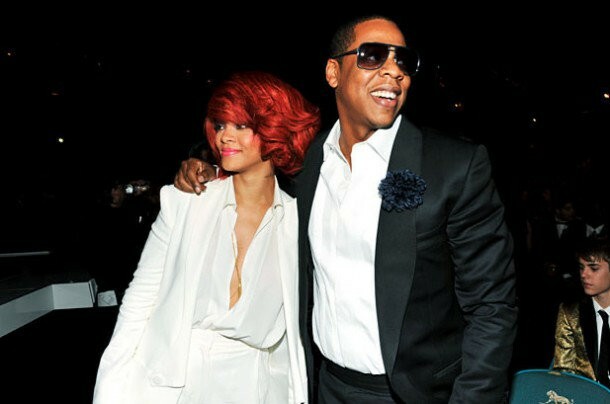 Another song from Rihanna much anticipated new album, Talk that Talk has recently hit the Internet. Whats so special about this one!? Its the title track for one, but most importantly it features the Ri's BOSS Man... Jay Z! "I talk big money, I talk big homes/ I sell out arenas, I call that getting dome.." he raps at the top of the song just before Rihanna kicks in the hook. My fave rapper hasnt collaborated w/ Ri since Umbrella and now he's back w/ this verse on Talk that Talk. Rihanna's fans are insane! They pretty much keep her songs number one ..I believe she's had 11 consistent number 1 records and Im sure this album's singles will be no different. The title track is a Stargate & Ester Dean jam.. and her fans Im sure will love it. Check it after the jump!